TourHQ is an online platform that allows travellers to interact with guides all over the world. At TourHQ travellers can see a guides profile and contact them for enquiries and make their bookings directly with them! Welcome to the world's most comprehensive database and search engine for bike tours with thousands of profiles, from hundreds of tour operators, to help you find that perfect tour quickly and easily. Welcome to GoBicycleTouring - now with more than 500 of the best guided & self-guided bicycle tours in 50+ different countries worldwide. Meet Travel Companions and Locals. Find Tour Guides and Homestays. Share Experiences! 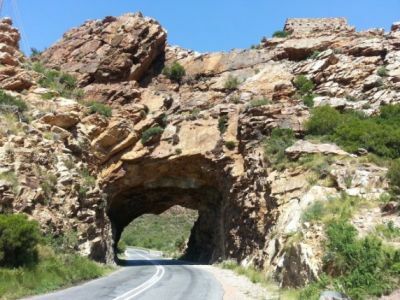 Discover South African’s top cycling destinations, adventures & bicycle culture. Find great places to ride, local bike shops & bike friendly cafes & places to stay & visit. The world’s leading hotel price comparison site. Through the free online service searches and compares hotels deals, we can guarantee travellers will find the cheapest hotel prices. Looking for something to do or a place to stay while in South Africa? this is the site to find the many questions needed to plan your holiday. Encounter South Africa is your online guide to What to Do and Where to Go in the country. Experience the cultural and natural diversity through our articles About South Africa.